The Founders were right to posit that a breakdown of the limits of government would cause a breakdown of consent. Only 22 percent of likely voters say the current government has the consent of the governed. Across many decades, my mind’s eye sees Professor Samuel Beer pacing the lecture hall stage at Harvard, talking about the accession of Henry II to the throne of England in 1154 and the end of 20 years of anarchy. Beer’s interest is not antiquarian, because he is focused on timeless principles and especially on their contemporary relevance. He uses Henry II to introduce the class to the concept of political legitimacy, which he defined in his writing as “the claim of a government to the obedience and loyalty of their citizens/subjects,” and the underlying principles that determine how the right to make this claim is gained or lost. Throughout the year, the class time travels to societies in crisis over legitimacy: From the England of Henry II to its long revolution of 1640 to 1688 to the American Revolution in 1776, the French and Russian Revolutions of 1789 and 1917, and Weimar Germany as Hitler comes to power in 1933. In each instance, a government has forfeited its claim to obedience and loyalty—at least in the view of a significant portion of its subjects—and has broken down. The questions are: Why? And what comes next? At the extreme, a polity’s condition reaches the state described by a Russian revolutionary leader when he said that the Bolsheviks did not seize power; they found it lying in the gutter and picked it up. Legitimacy is probably the single most important concept in political analysis, and Beer’s class could have continued indefinitely. The fall of the Soviet Union would be a fine topic, and China’s 20th-century evolutions could occupy a whole year, especially its latest effort to shift from Maoism as a basis of legitimacy to successful economic development. This is the political equivalent of a triple flip without a net. The time-traveling class should also drop in on the United States in 2012, which is slipping into a crisis of legitimacy relatively unnoticed. The root of this crisis is that over the past two generations, we have come to accept as routine the idea that various special interests are allowed to capture pieces of the government—executive departments, regulatory agencies, congressional committees, appropriators, parts of the tax code—and use governmental power to tax, spend, regulate, subsidize, prosecute, or forbear for the advantage of the interest and its allies in the bureaucracy. Arguments for particular programs are based pretty much on back-scratching coalition politics. The cover stories are thin, and not even meant to be believed. The Environmental Protection Agency (EPA) is a major example, as it has been captured by the radical environmentalists and tasked with pushing its authority to the utmost in pursuit of their ideology, in alliance with crony capitalists who batten on the green movement. Peter Kirsanow and Carissa Mulder analyzed another case recently when they described the capture of parts of ObamaCare by the crony capitalists of the health industry. The culture of dependency is another example, as great swathes of the populace are urged to use the voting booth to solidify their condition and to advantage the bureaucracies that service them. Examples are endless, and they come from all levels of government—state, local, and federal. This concept of government by capture is sometimes called “interest-group liberalism,” a name coined by the political scientists of a few decades ago. Many of them regarded it as a good thing, analogizing it to the economic marketplace, in which the jostling of competitors serves the general good. This was always more of a metaphor than an analysis, though, and it has turned out to be a bad one. By now, we have grown so used to the idea of interest groups seeking advantage that we have forgotten that interest-group liberalism was not part of the original theory underlying the legitimacy of U.S. government. In fact, quite the opposite. So the new republic rested on a different basis of legitimacy: The consent of the governed. 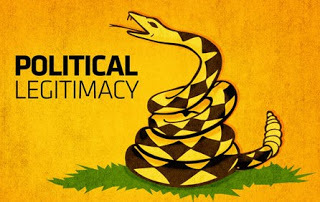 This did not mean consent to every minor governmental action, but consent to an overall framework designed to prevent tyranny and exploitation. The First Amendment represents a classic example of the approach. Adherents of each religion might like to make theirs the established church. But all recognize that conflicting ambitions will create bitter conflict, so they agree on the principle that there will be no established church at all. Then they establish mechanisms, such as courts, to enforce the big bargain, and to prevent the individual religions from defecting from it for opportunistic advantage (as they will certainly be tempted to do, what with man being born to sin and all that). In general, the Founders feared capture of government by “faction,” including a faction composed of a majority. They feared that the consequence of capture would be “class legislation,” laws designed to further the interest of a particular group rather than that of the public as a whole. They especially feared “systemic corruption,” whereby the political system would pass class legislation and the recipients would recycle some of the booty back into support for the politicians. 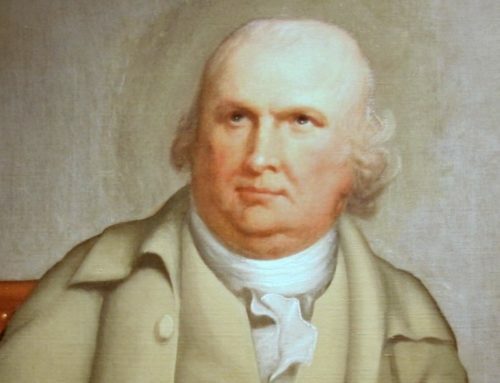 Fear of corruption, verging on paranoia, became a dominant feature of American politics in the early 19th century … The word most often brought to mind a … dreadful image of a spreading rot. A frequent metaphor compared corruption to organic cancer, eating at the vitals of the body politic. This concern was not abstract, because in 1776 over half the members of Parliament were bought supporters of the king. The tea dumped into Boston Harbor in 1773 belonged to the East India Company, a monopoly created by Parliament whose rack rents in India had contributed to ghastly famine in Bengal in 1770. We tend to view the Boston Tea Party as a bit of a frat-boy lark, but it was deadly serious business. Much of the Constitution is as it is to forestall capture in the first place, or, as a backup, to limit the damage that factions could do if they did succeed, by limiting the power of government. The consent that provides the bedrock legitimacy of the government was conditioned on the existence of these safety mechanisms. 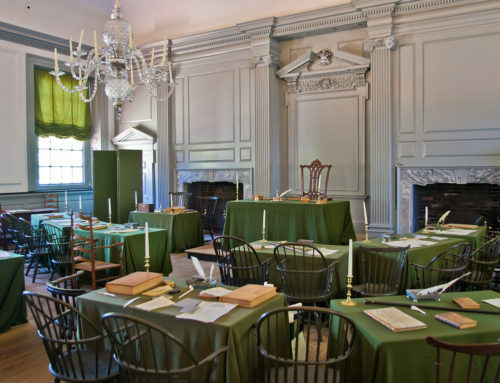 The Founders took for granted that a minority oppressed by a faction of the majority would withdraw its consent from the governmental structure, with unpredictable, but certainly unpleasant, consequences. At least 60 percent of the nation’s GDP is controlled by governments, and that does not even count the amount of economic activity that is suppressed because of special interest pressure. Just as the First Amendment created a grand bargain over religion, the abhorrence of class legislation and systemic corruption created a grand bargain in the economic sphere. The Founders could agree on the principle that there should be no class legislation, even if the meaning of the term was murky. They also knew that people would be tempted to cheat on occasion. So, like drunks locking up the liquor, they established both legal mechanisms and a political culture that enforced the grand bargain against opportunistic behavior. The courts, in particular, were expected to serve as a kind of escrow agent charged with keeping the interests from reneging for private advantage. Only under the hammer of the New Deal and, eventually, the Great Society did the courts eventually give up, at least in the economic sphere, and declare the Constitution a free-fire zone for factional rapacity. Even then, the overall political culture retained a firewall, in theory: Much of the enhanced power of government was to be administered through agencies that were removed from political combat. A Federal Communications Commission or an EPA was to consist of honest experts, not political opportunists, and to derive its legitimacy from this disinterested competence. Over time, though, all the political barriers to class legislation have fallen, following the legal checks into oblivion. The trend was aided considerably by the legitimate moral claims of the civil rights movement, which eventually morphed into a larger ideology of victimization and moral claims that makes benefitting particular groups a feature rather than a bug. It has taken some time, but the result has been predictable. Once the overall principle was broken, the system turned into a chaotic war in which interests fight for pieces of power and control. For a long time, the interests at least had the decency to invent cover stories as to why their own benefit actually helped everyone, but those days seem to be gone. Arguments for particular programs are based pretty much on back-scratching coalition politics. The cover stories are thin, and not even meant to be believed. The political culture has evolved to the point where anyone who declines to push for special favors is regarded as a fool, and systemic corruption is accepted as the normal and inevitable way of doing political business. 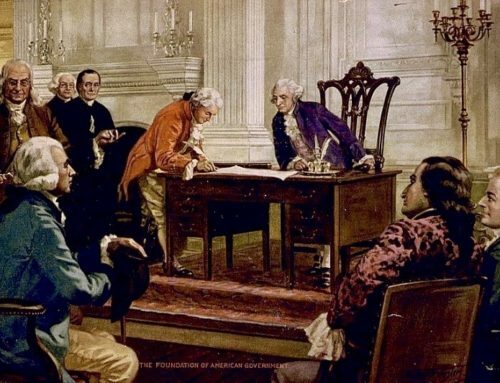 The Founders took for granted that a minority oppressed by a faction of the majority would withdraw its consent from the governmental structure, with unpredictable, but certainly unpleasant, consequences. The result of this loss of principles and limits has been an explosion of lobbyists and interest groups, and each makes work for all the others. The overall result is stunning. At present, the federal government allocates about 25 percent of GDP and states/cities spend another 16 percent. According to some estimates, about 15 percent is controlled by the regulatory system, but this is probably low because it does not reflect the non-regulatory legal system. The conclusion is that at least 60 percent of the nation’s GDP is controlled by governments, and that does not even count the amount of economic activity that is suppressed because of special interest pressure. One can choose one’s own estimate of how much of this is spent on real governmental functions, but there is no question that the bulk of it goes to satisfy constituencies. All the talk of the government needing power to solve national problems or to fix the healthcare system, the housing market, the financial world, or anything else is only blather to obscure the determination of the special interests to gain and defend their turf. Yet still they come, fighting their way to the trough, arguing that more than 60 percent of GDP is not enough and that the “welfare state” requires still more if it is to achieve cosmic justice. Gallup and Rasmussen are telling us that the Founders were right to posit that a breakdown of the limits of government would cause a breakdown of consent. In response to the question of whether the current government has the consent of the governed, only 22 percent of likely voters say “yes.” The partisan divide is marked; Democrats split evenly, but only 8 percent of Republicans say yes. These are scary numbers, particularly when one considers that many of the “no consent” Democrats are probably on the left, denying the legitimacy of a government that does not do more for them. Also scary is that the political establishments of both parties seem oblivious. So Beer’s time-traveling students would have little trouble deciding that the United States has a legitimacy crisis. They could produce competent term papers on how it arose. The big question, of course, is what happens next. That is indeterminable. Unstable political arrangements often continue for a long time, until some crisis pushes them over the edge. France faced severe fiscal problems in 1789, and Russia’s tsars might still be with us if they had avoided the strains of World War I. So the United States might be pushed into full-blown chaos only by serious fiscal dysfunction or some national security disaster. Unfortunately, neither of these possibilities appears remote. The urgent question is how to find a road back to stability and consent without going through a crisis and consequent upheaval. This is a mystery, since the set of societies that have faced and surmounted legitimacy crises without turmoil is a limited one. In later years, Beer added to his syllabus the topic of the great reform acts in England during the 19th century, but that example seems almost unique. Most societies must endure considerable pain. 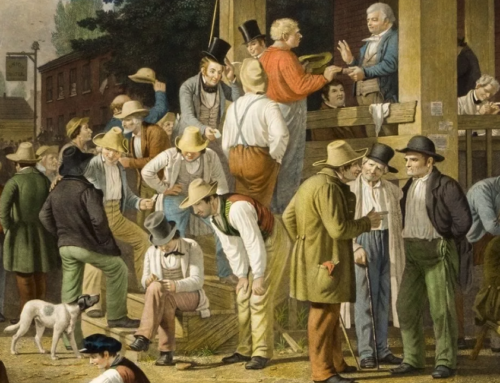 Like drunks locking up the liquor, the Founders established both legal mechanisms and a political culture that enforced the grand bargain against opportunistic behavior. On the other hand, the United States has always been an exceptional society, and it may be a pioneer in reviving legitimacy, just as it was a pioneer in its original constitutional arrangements. The spontaneous Tea Party movement is as hopeful a sign as one could wish for. History does not lack for political movements protesting grievances and making demands. Tea Parties are unique in that their grievance is that government has turned into the Special Interest State and become venal and incompetent, and their goal is to restore the republic. Their grievances are philosophical rather than personal. Also on the optimistic side of the ledger is self-awareness. We have the heritage of the debate over the nation’s origins, and we have the intellectual tools to understand and analyze the reality that we have a legitimacy crisis. Most of the societies Beer studied did not have this advantage. They regarded legitimacy as something inherent in a monarch, or, as in the Monty Python parody of the Arthurian legend, as mystical as “some watery tart threw a sword at you.” The exception was the American Revolution, which was less chaotic than the others, though still bad enough, and which was the only one to debate explicitly the nature of legitimacy. Books mentioned in this essay may be found in The Imaginative Conservative Bookstore. Reprinted with the gracious permission of The American. James V. DeLong is the author of Ending ‘Big SIS’ (The Special Interest State) and Renewing the American Republic. He is an adjunct scholar of the Competitive Enterprise Institute and a policy advisor to the Heartland Institute. I, too, remember Sam Beer's class with fondness and the whole question of political legitimacy is fascinating, especially in view of the contemporary deterioration of legitimacy. But I would like to see more thoughts on "how to find a road back to stability and consent without going through a crisis and consequent upheaval."